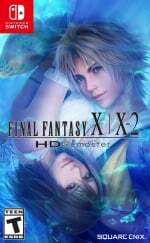 Final Fantasy X | X-2 HD Remaster (Square Enix, Tue 16th April, $49.99) FINAL FANTASY X/X-2 HD Remaster brings the timeless classics forward to the current generation of fans, old and new alike. FINAL FANTASY X tells the story of a star blitzball player, Tidus, who journeys with a young and beautiful summoner named Yuna on her quest to save the world of Spira from an endless cycle of destruction wrought by the colossal menace Sin. FINAL FANTASY X-2 returns to the world of Spira two years after the beginning of the Eternal Calm. Having been shown a mysterious but familiar image in a sphere, Yuna becomes a Sphere Hunter and along with her companions Rikku and Paine, embarks on a quest around the world to find the answers to the mystery within. Fully immerse yourself in the World of Spira as you enjoy over 100 combined hours of gameplay across the two classic titles. 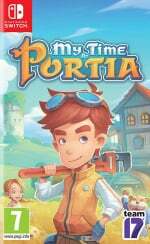 My Time at Portia (Team17, Tue 16th April, $29.99) Restore your Pa's neglected workshop to its former glory by fulfilling commissions, growing crops, raising animals, and befriending the quirky inhabitants of this charming post-apocalyptic land! Armed with your Pa's old handbook and workbench, you must gather, mine and craft your way to being crowned the number one workshop in Portia. Hellblade: Senua's Sacrifice (Ninja Theory) From the makers of Heavenly Sword, Enslaved: Odyssey to the West, and DmC: Devil May Cry, comes a warrior’s brutal journey into myth and madness. Set in the Viking age, a broken Celtic warrior embarks on a haunting vision quest into Viking Hell to fight for the soul of her dead lover. Created in collaboration with neuroscientists and people who experience psychosis, Hellblade: Senua’s Sacrifice will pull you deep into Senua’s mind. 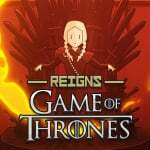 Reigns: Game of Thrones ( Devolver Digital) Reigns: Game of Thrones is the heir to the award-winning HBO TV series Game of Thrones and the smash-hit swipe ‘em up series Reigns from Nerial and Devolver Digital. Through the fiery visions of Melisandre, claim the Iron Throne as Cersei Lannister, Jon Snow, Daenerys Targaryen, and more to carefully navigate the complex relationships and hostile factions of the Seven Kingdoms. Employ ruthless tactics to outwit political rivals and wield impervious charm on your fickle bannerman. A Dark Room (CIRCLE Entertainment) A Dark Room is an innovative text-based adventure that harkens back to the magic of Zork, adding a modern spin on a classic genre and time in gaming. It challenges the player’s perceptions, actions and imagination. Visually clean, A Dark Room presents text and cues with limited visual flourishes, but the experience that takes shape is full of depth and environmental storytelling. Back to Bed (2Awesome Studio) Back to Bed is an artistic 3D puzzle game with a surreal twist. Bob is an unlucky narcoleptic who has a tendency of falling asleep in his boring office and then proceeding to sleepwalk into the dangers of the big city. Luckily, Bob has a subconscious guardian named Subob, who protects the sleepwalker and guides him back to the safety of his bed. Bot Vice (DYA GAMES) Show off your skills and reflexes in this frantic gallery shooter arcade action title - Filled with bullets, bots, and explosions! You play as Erin Saver, who carries out a personal vendetta against the criminal gang the Wildbots while bringing them to justice. Box Align (QUByte Interactive) Discover the power of the Box Align puzzles! A simple yet challenging Puzzle Game where you put your brain to work while trying to eliminate all the boxes with as few moves as possible. Why play Box Align? - Enhances your Memory and Problem Solving skills by strengthening the existing connections between brain cells, while also establishing new ones; - It lightens your mood by increasing the production of dopamine in your brain - Get smarter, feel lighter, feel better! Doggie Ninja The Golden Mission (Toydea) "Doggie Ninja The Golden Mission" is a PvP action game up to 4 players can play. Let's enjoy this game with anyone, anytime, and anywhere! - Break the castle! ! Crush the rivals! Let's throw the wall blocks to break the castle! But watch out! If you break all the blocks holding the roof, the roof will fall down! Feather (Samurai Punk) Fly like a Bird Feather is a peaceful game about immersing yourself in a beautiful island. Become a bird, fly around and lose yourself in zen-like flow whilst listening to the soothing ambient soundtrack. With responsive and fluid flight controls to swoop, glide, backflip and roll your way around the island. Greco's Hall of Kanji: Learn Japanese (Beginner) (media5) Break up the monotony of traditional language learning and bring some entertainment value to your Japanese kanji studies on the Nintendo Switch with media5’s latest release in “edu-tainment”: Greco’s Hall of Kanji. Jungle Z (Rising Win Tech) Life or Death? Your choice! You need to be survived on the last day of Earth with limited backpack space. Supplies are hidden at somewhere, explore it. Be careful! Every decision you made may be related to your life and death. Minefield (Vertical Reach) Minefield is a modern day re-imagining of a classic game. Work your way through a board avoiding all the mines, keeping track of your best time in three difficulty modes. Out There: Ω The Alliance (Raw Fury) Out There is an award-winning space exploration game where you try to survive alone in a distant and unknown part of the galaxy by upgrading your spaceship and managing your resources. Space is a hostile place; dangerous and mysterious adventures will mark each step of your travel. 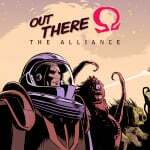 Read our Out There: Ω The Alliance review. Path To Mnemosyne (Hidden Trap) Immerse yourself into Path to Mnemosyne, a hypnotic adventure created within an infinite zoom! Walk the path, explore your mind and recover all lost memories by solving dozens of imaginative puzzles. A mysterious story, a minimalist script and disturbing sounds and graphics, will make Path to Mnemosyne a bizarre and memorable gameplay experience for any player. Will you be able to reach the end of the path? Quadle (Clickteam) Quadle is ready to puzzle your mind! It's A brand new arcade puzzler for Nintendo Switch, which invokes the memory of classic arcade cabinet games while adding a new twist. Jump on the blocks as the titular character Quadle, changing the block colors until they are all red. Rolling Sky (Rising Win Tech) Challenge your speed and showcase your reaction time! Stunning 3D effects, easy to operate, simply steer the ball to dodge the obstacles and conquer the world! 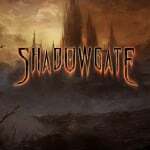 Shadowgate (Abstraction Games) Shadowgate is one of the most well-known and beloved adventure titles in gaming history. It quickly endeared players with its fantastic atmospheric soundtrack, perilous locations to progress through, countless puzzles to solve, and more ways to gruesomely die than gamers previously thought possible. Silence (Daedalic GmbH) War rages on. During an air raid, 16-year-old Noah and his little sister Renie seek shelter in a bunker. There, not only are they protected from the deadly bombardment, but are also at the crossroads of a world between life and death: Silence. When Noah’s sister gets lost in Silence, he is forced to venture into this idyllic yet threatening world to find her. Street Basketball (Baltoro Games) Test your duelling instincts in one-on-one matches! Choose from multiple characters with their signature ability shots. Pick their looks from the list of available outfits. Make them better players by improving their stats! Challenge your friends in one-on-one local multiplayer mode! Shoot, block, shove and dunk your way through tournaments to unlock additional characters. Super Star Path (DYA GAMES) Hop into your spaceship, open a path through huge waves of aliens and other hazards, and face intense boss battles! Super Weekend Mode (Ratalaika Games) No matter how you look at it, there is nothing nice about stealing and unfortunately for a princess, she’s going to have to learn this the hard way, when “that guy” claims her possessions for himself and sets off with them. Desiring to reclaim what is lost, Super Weekend Mode is a cutesy looking game where hearts must be caught, bunnies must be crushed and the bad need to be shot. Tanks Meet Zombies (TitanForgedGames) Dress up as an Assault Armored Vehicle and prepare yourself to speed date, we mean destroy, hordes and hordes of undead humans, bears, spiders and more! Join with up to 3 more friends and get ready to wreak havoc, it will be a BLAST! The Demon Crystal (Regista) Story Once upon a time, there was a rich country "Fareis country" in a certain place. However, as the peace and prosperity continued, the people of the kingdom were corrupted and the power of the nation declined. Trüberbrook (Headup Games, March 2019) Trüberbrook is a thrilling mystery-sci-fi adventure game. Enjoy an adventurous vacation to a 1960's parallel universe! A Sci-Fi-Mystery Adventure Game with handmade scenery. Imagine yourself on a vacation to Europe in the late sixties. Now, picture yourself as a young American scientist; Hans Tannhauser. Vaporum (Merge Games, Today, $24.99) Vaporum is a grid-based dungeon crawler RPG in an original steampunk setting, inspired by old-school classics of the genre. Stranded in the middle of an ocean, in front of a gigantic tower, the hero has to find out what the place is, what happened there, and most importantly, who he is. 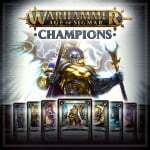 Warhammer Age of Sigmar: Champions (Playfusion) We are Sigmar’s Champions! Thousands of players are heralding the new era – the Age of Sigmar, in this epic Warhammer Trading Card Game born from magic and fantasy Deploy units and unleash deadly magical abilities, while completing quests to earn blessings from the gods. Way of the Passive Fist (Household Games) A mysterious figure known only as the Wanderer travels across the distant planet of Zircon V, a once prosperous mining colony that is now on the brink of destruction in the face of its dying star. By using the Passive Fist technique, the Wanderer can outlast any foe by deflecting their attacks and draining their stamina. Tetris 99 2nd MAXIMUS CUP – From April 12 at 6 a.m. PT through April 14 at 11:59 p.m. PT, earn event points by playing matches during the event. Placing higher in a match will award you more points, and every 100 points will count as one TETRIS MAXIMUS. After the event, the top 999 players with the most event points will be notified, and will each receive 999 My Nintendo Gold Points. My Time in Portia looks like fun and I'm interested to see how Hellblade runs on the Switch. ContraNetwork channel on YouTube has gameplay and comparison with PS4. And for us retro fans, Konami’s classic shooter Time Pilot should be today from our friends at Hamster! 👍👍 Super Cobra and Scramble next please!!! Waiting to see if the US is getting a blockbuster sale. Well, you definitely can't say that the Switch doesn't have games. With the rate their releasing, the Switch's library might catch up in numbers with the Xbox One and PS4. Feather, neat stress-free flying game. Got it when it was released last week. For those times when I want to relax after a stressful day. Would love to see more levels but OK for an indie title. Hope it sell well that the developer will add to the game. Would love to see how this game fare with game reviewers. But Some game like Wandersong just didn't get reviewed. @Painkiller_Mike sure. It's the quality of said games that is in question, I believe. I mean, Wii had a bunch of games too. Everyone interested should support Hellblade! The port is beyond amazing, the game is great and the price is really good! Definitely some interesting stuff this week, I'll eventually pick up X & X-2, but i'm in no hurry and probably will wait for a price drop. Also interested in that shadowgate game, and hellblade. Doesn't the Labo Toy-Con 04 release tomorrow???? @hihelloitsme No question here. It appears to be heading that way. On the brightside, there is a better ratio of quality for the Switch than there was for the Wii. The shovelware on that system was out of control towards its final years. Usually, me as well. But this is a tech showcase of what the Switch can do in the audio/visual department and I feel the need to reward them for the stellar job they have done! It’s likely I’ll buy something from the big sale than from this new game list. Played Hellblade one PS4 and it was great. If I play it again, it’ll be the VR version if it ever gets ported from PC fo PSVR. Shadowgate is surprising. I may actually get that since I loved the original game. Just played hellblade. Absolutely fantastic. If anyone doesn't like this port they should give up gaming and throw their switch away. FFX/X-2 for me, though I'm going to import from Playasia. Hellblade looks like an awesome game, but I already bought it on a Steam sale a while back. Might get Shadowgate from the eShop, already got Final Fantasy X/X-2 coming from Play-Asia so can't wait for that. I urge anyone who buys Hellblade to watch the making of the game from the menu. They actually talked to patients suffering from psychosis and incorporated what they see and hear. Really cool stuff. Bot Vice looks really cool and I haven't played a shooter like that in quite some time. Really like the art style as well...looks like a legitimate 16 bit game as opposed to something that was just crapped out to pander to hipsters. Hellblade just set a new benchmark for what's possible on Switch. Let's hope MK11 will be just as good. I wonder if Shadowgate still includes the sequel tease at the end which features SG64 star Del Cottonwood. They haven't really done anything with that, AFAIK. I played Bot Vice on Steam & loved it. Solid arcade action & controls with a retro visuals. Nice music and audio too. For me, the Switch version is a day-one purchase. You might want to look at the Steam reviews for other data points. As of this writing, the positive ratio is 95% of 837 reviews — quite high, even for Steam. But I’d suggest skimming the write-ups as well. The developer (DYA) has a few other games also on Switch, including Super Star Path (also launching today), Strikey Sisters, and Viviette. Played the first two of these, both of which have similar aesthetics to Bot Vice and are fun experiences. But Bot Vice is easily my favorite from this developer. 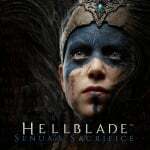 Definitely interest in Hellblade, just curious of the quality of the port. As long as there's no serious performance issues, I'll be downloading that this evening. @daveh30 I've long been interested in the game, and that was my only reservation, too. A lot of outlets are reporting that it is a very impressive port. The YouTube channel "SwitchUp" has a good video on it—it wasn't shown in side-by-side comparison with the PS4 or Xbox One versions, but I honestly thought the direct-feed docked footage WAS from those versions at first. I bought it straight away after seeing that. SENUA just isnt for me. Glorified walking simulator. The Rest is just a bit underwhelming IMO, how many pixel - Metroidvania games do we need? Resident evil was next month, right? @Darren Calvert your missing slime tactics on that list. Depends on what your definition of good games are i suppose. Some indies that no one's heard of, the 809th overpriced final fantasy flip and a port of a 2 year old walking sim aren't exactly anything to get excited about. That being said though, at least senua has some pedigree and production values behind it and is being priced accordingly. Guess we aren’t getting the sale Europe has. Not sure if they're any good, but the sprite work in those DYA titles (Bot Vice, Super Star Path) are too scrumptious to pass up. HellBlade is an amazing game. But as usual with the Switch - already Played it. But hopefully this means Ninja Theory will release more games on Switch. Heavenly Sword is still one of my favorite games. @Itzdmo Well my comment regarding the quality of games was in reference to the Switch's overall library of games not just this specific week. Now the amount of games being released on the other hand, well as you can see week after week, Nintendo has been allowing a lot of games to be released on their system which I think is a good thing. I can separate the winners from the stinkers by using a piece of plastic that magically spits out money. Thank you Nintendo Life for these Nintendo Download posts. For such a simple thing, I haven't seen anyone else putting together a nice outline of games being released for the week. 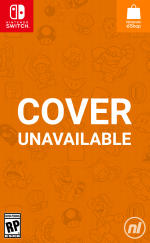 It's part of why this site is my favorite site for Nintendo News. I won coins in the last Maximus Tournament. Hoping to go two-for-two this weekend. 50 bucks for FFX/2 HD? You serious. Supposedly Shadowgate is famous in Japan, but for poor localization quality. I wonder if that has ever changed. Geez I can't keep up with all of these releases. I'm going to need a a chart or something....and a money tree. Wasn’t Arcade Archives Donkey Kong’s 3 out today? I’ll be getting that one. Waiting on that portia review. @KingMike it’s very much worth it though. I already have it preloaded. Ordered Ever Oasis yesterday, so looking forward to that; Switch-wise? Alternating between Odyssey and FFIX. Have X/X-2 Remastered on PS3, so I see no point in getting it for Switch. Maybe I’ll download FFVII this week as well. Bot Vice for me. It was sitting in my Steam Library for about 2 years now. Finally decided to play it on switch and man is it fun! It's essentially 2-d 16 bit time crisis.